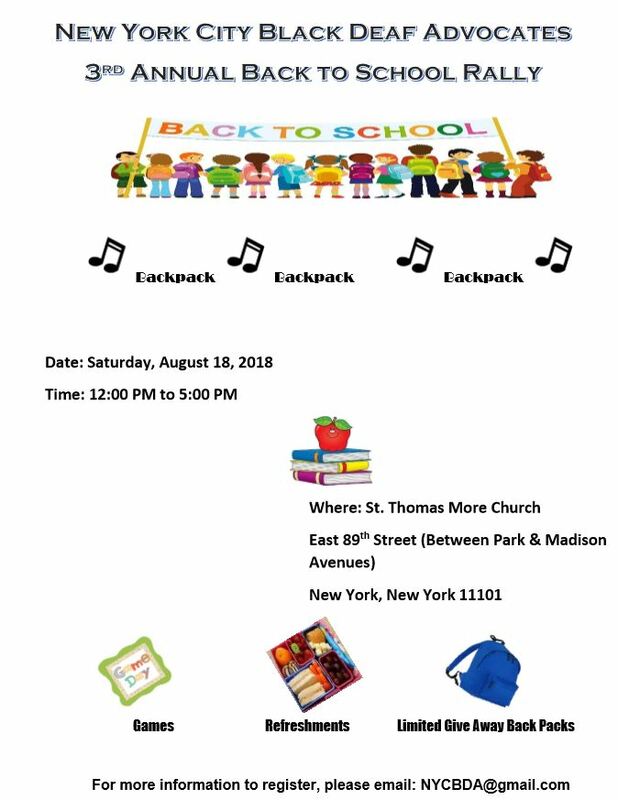 We have the event on Saturday, August 18, 2018 from 12 PM to 5 PM. The children (age 5 to 18) MUST register to NYCBDA@gmail.com. To give away limited backpacks, we prefer Deaf children first then CODA (Children of Deaf Adult) is next. This is first come, first serve to sign your name and to get a backpack. Thank you.